Home / News / Respeto lang: Kiko, Frank, Bam disappointment over House who laughed during Dayan testimony. 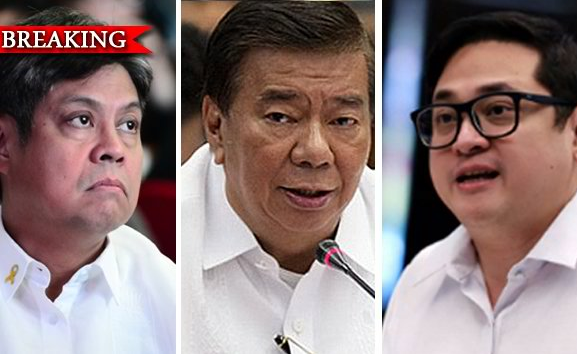 Respeto lang: Kiko, Frank, Bam disappointment over House who laughed during Dayan testimony. The Liberal Party senators Kiko Pangilinan, Bam Aquino and Frank Drilon, backs Sen. Leila De Lima and prohibit the desire of some members of Congress for her to resign. “As pointed out by people who saw the hearing, the conduct of some members of the House Committee on Justice was unparliamentary. The disrespectful and condescending line of questioning– which at one point seemed to justify an act of domestic violence– has no place in the halls of Congress,” said the LP senators. Ronnie Dayan, in his testimonies said that he slapped De Lima after he find that she have a new boyfriend, and some members of Congress laughed. “One House of Congress cannot proceed against a member of another house without violating the principles of co-equality and inter-chamber courtesy. The correct procedure is to bring the matter officially before the entire Senate and not directly to one Senator,” they said. “As aptly noted by our Senate President, ‘If they want to respect it [inter-parliamentary courtesy], well and good. If not, ‘wag sila magtampo if it’s the other way around’,” said the LP senators.